Needles/Powers/Crosson delivers interactive pedagogy by illustrating accounting principles and real-world examples to encourage critical thinking. This revision is based on an understanding of the nature, culture, and motivations of today's students and on extensive feedback from instructors. These substantial changes meet the needs of students, who not only face a business world increasingly complicated by ethical issues, globalization, and technology, but who also have more demands on their time. To help them meet these challenges, this textbook shows students how business transactions, which are the result of business decisions, are recorded in a way to show their effects on the financial statements. 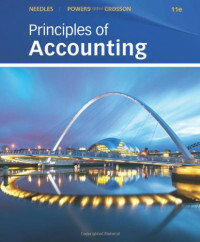 Built on historically strong pedagogy, this edition demonstrates strengthened transaction analysis and its link to the accounting cycle. *Proven Presentation: Students learn from a trusted approach built on proper accounting principles and technical detail to ensure mastery of core accounting concepts. *Relevant Coverage: Chapter-opening Decision Points have been enhanced to expose students to the changing financial reporting environment and IFRS. *Critical Thinking Tools: New Stop & Think features help students develop the judgment skills they need in the modern business world. Needles/Powers/Crosson demonstrates accounting in motion! SugarCRM is a leading open source Customer Relations Management tool and development platform with nearly 5.5 million downloads, nearly 17,000 developers, and lots more users.